Home > Skincare Blog > FEELING SENSITIVE? Do you suffer from dry, flaky, itchy, irritated or sensitive skin? Did you know that we are not born with a sensitive skin, but develop skin sensitivities from the products we use of the foods we eat? Everything we use on our skin contains chemicals, some produce the desired results and work with our skin and some oppose our skin and irritate it, causing inflammation, swelling and redness. Did you know that the skin has a protective barrier, which is extremely important for your skins protection? Dry, flaky, itchy, irritated, or sensitive skin. Skin oils have been stripped by, harsh products, over stimulation or environmental conditions. Skin becomes dehydrated and dry; loosing moisture and is more permeable to irritants and allergens. Once irritants or allergens penetrate the top layer of skin (epidermis), they can trigger inflammation. After age 40 the amount of oil in our skin decrease, which is why we are more prone to dry skin as we age. Harsh products include detergents (sulphates – SLS), solvents (nail polish remover), irritating chemicals such as the over use of (Glycolic acids – AHA’s) and excessive use of perfumes can all weaken the barrier. Over use of active ingredients such as alpha hydroxy acids (AHA’s) and scrubs are often responsible for over sensitising skin. If used correctly they can support the skin, but irritate and inflame skin, when they are used in high doses and too often. Excessive cleansing with soap and water can strip oils and Natural Moisturising Factors in our skin, and weaken the bonds that hold the skin cells together. Cleansing with hot water or exposure to steam or high heat can also strip oils from our skin. The symptoms of this reaction include redness, stinging, itchiness, swelling, or burning. 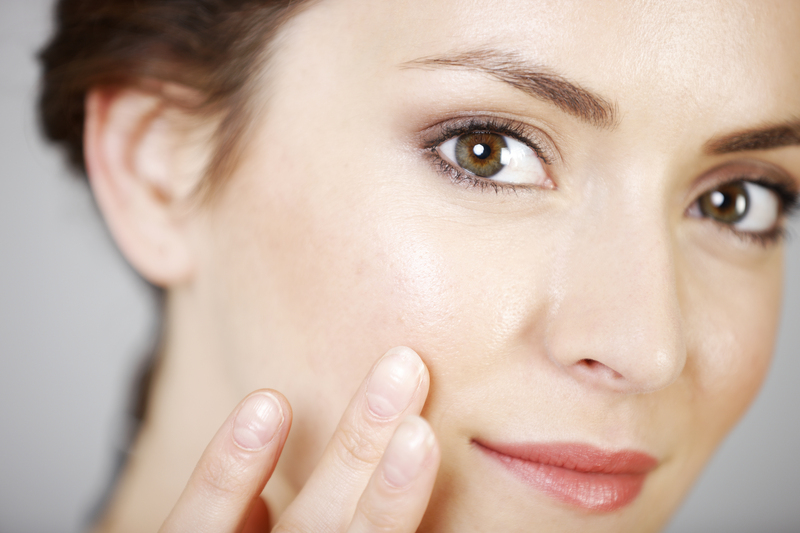 The reaction usually occurs quickly in the area, where the skin is exposed to an irritant. The reaction subsides after the irritant has been removed and the skin may become dry, flaky, scaly, or cracked. If you develop a reaction to a product or procedure performed on your skin, it is a form of dermatitis. Dermatitis is a general term for anti-inflammatory skin conditions or disorders. Contact Dermatitis is known as a sensory reaction. It is not an allergic reaction because the immune system is NOT involved. The easiest way to repair and strengthen a weak or damaged barrier is to use natural oils, silicones, and skin-identical ingredients in your skin care. Essential fatty acids are skin-identical ingredients – they mimic the natural components in skin. Plant oils such as Omega 6 and 9 essential fatty acids are particularly good for skin. Ceramides and silicones are also excellent skin identical ingredients. Ceramides are a type of lipid (oil) found in the skin cell membrane. Ceramides, fatty acids and cholesterol work together in the outer most layer of the skin (epidermis) called the stratum corneum to prevent moisture loss and keep skin moist and supple. Ceramides make up about 40% of the lipids in the stratum corneum. Silicones are a group of ingredients that cover the skin with a very light film. This layer minimises water loss (dehydration) and prevents foreign matter from penetrating skin. Niacinamide (Vit B3) Green Tea, Oats, Licorice, and Resveratrol, are some excellent barrier protecting and hydrating ingredients. It is essential to have a healthy functioning skin barrier to keep your skin from becoming irritated and sensitised, as well as keeping your skin well hydrated to prevent additional loss of moisture (dehydration). Wear a natural physical sunscreen with Zinc Oxide, which reflects the UVA & UVB rays. Unlike the chemical sunscreens, which absorb UV rays, and allow the radiation from the sun to enter the skin. Sun and heat sensitise and irritate skin. Naked skin is valnerable and exposed to the elements; applying a mineral foundation with Zinc Oxide or Titanium Dioxide form a protective barrier against UVA & UVB rays, as well as providing a thin weightless veil of colour protection, which is ideal for sensitive skin. Use products that are free from potentially irritating and harmful ingredients and feed your skin with the nutrients it needs to become healthy and strong. Use cleansers that don’t strip your protective barrier and are free from Sodium Lauryl Sulphate (SLS) and Sodium Laureth Sulfate. Use a retinaldehyde vitamin A serum to help balance and normalise your skin. Retinaldehyde thickens the dermis (true skin) which helps cushion and strengthen sensitive skin which is often very thin and fragile. Use moisturisers with natural oils and ceramides to replenish lost oils and help restore your skins natural barrier function. Sensitive skin needs skin care products with barrier repair ingredients and sun protection to thrive and become healthy, hydrated and balanced.